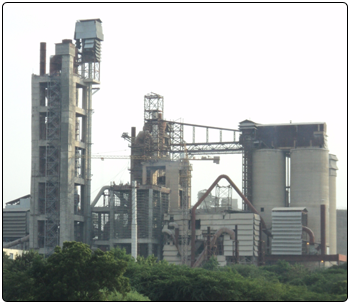 This first plant of The Ramco Cements Limited was inaugurated in 1961, starting with an initial capacity of 200 tonnes per day using the Wet Process. It is the first factory in South India to be changed into a Dry Process Kiln, gradually increasing its capacity over the years. This plant has always been the first to adopt the very latest technologies in its various manufacturing stages. The present annual capacity of the plant is 2.0 million tonnes and it has now adopted the Dry Process and continues to upgrade to the latest equipment at every stage of the cement manufacture. The first ESP and the first Combidan Mill in the Indian Cement Industry were installed here. The Plant was upgraded with the latest SF Cooler for clinker cooling. The new line of 1600 tpd clinker was established with state-of-the-art technology. Quality control equipment like the Cross Belt Analyzer, XRF, XRD are in use here. There is a provision for use of alternative fuels in the Calcine.